In this whole world full of adversities, when you look into colorful flowers, the mind fills with joy, positivity, and happiness. Such is the power of flowers! 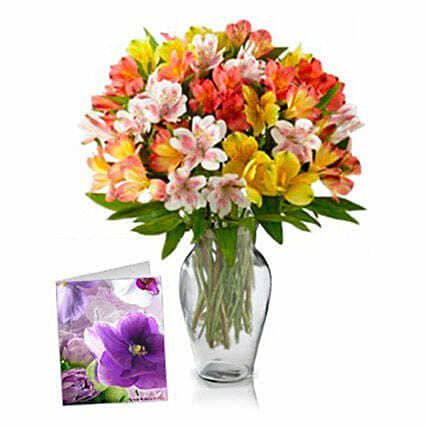 A bouquet of 50 Alstroemeria or Peruvian lily along with a greeting card is here to make someone feel good. Order this awesome flower bouquet to wipe away all worries of your sweetheart or best friend on any special occasion or on any regular day.